I love lasagna but I hate waiting for it in the oven. So I popped it in the crockpot instead! This Crockpot Lasagna Recipe turns out perfect every time I make it. Serve with a salad and some garlic bread and you have a delicious meal! This is one of my weaknesses! 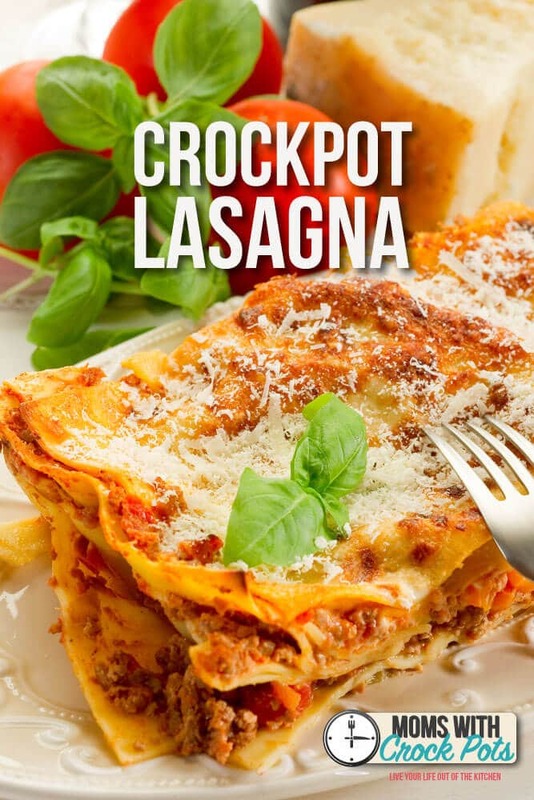 Love Lasagna...especially in the crockpot! This can be made with gluten free lasagna noodles. I made this a few weeks ago, from a previous post and I really liked it. I did change up a few things, by using ground meat instead of sausage, and also add a handful of those cute mini pepperoni’s to it. I used a big can of spaghetti sauce and a can of manwich to equal up to the tomato sauce noted here and I used a small curd light cottage cheese in place of the ricotta. It was wonderful. My family all voted KEEP THE RECIPE.